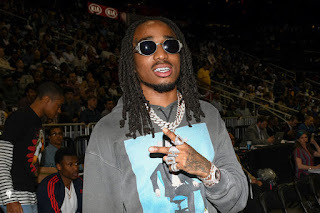 A Quavo solo project has been talked about for years now and has supposedly been in the works for the same amount of time but we haven’t gotten any updates about one for a while now. Tonight, Quavo has released a teaser to a full length album, a batch of three songs — ‘Lamb Talk’, Bubble Gum’ and ‘Workin Me’. The Migos rapper has been one of the hottest artists overall on streaming services these past 12 months or so, so it only makes sense to release solo stuff. Stream the three songs below.